Do you need to motivate and inspire people to achieve results. Take an ILM Level 5 Award in Leadership programme that offers you an exciting blend of workshops and personal coaching. Do you manage volunteers, as all or part of your role? Learn practical skills and gain the ILM Level 3 Certificate in Management of Volunteers. Programmes to suit your needs. Accredited training, group facilitation, workshops, distance learning, or individual coaching. For managers who need to motivate and inspire people to achieve results. Stretch yourself with our exciting ILM leadership and management programmes. Find out about leadership & management training. For people who support volunteers, as all or part of their role. Gain a specialist qualification with the ILM Level 3 Award in Management of Volunteers. Find out about our volunteer management training. We can design a programme to suit your needs. Services include accredited training, group facilitation, workshops, distance learning and individual coaching. Find out how we can design learning for you. 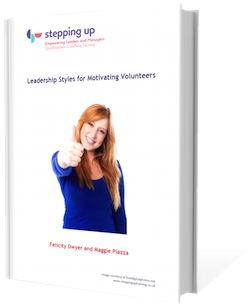 "Leadership Styles for Motivating Volunteers" For your free e-guide plus quarterly updates with articles and resources, click here. May I just say again how wonderful this course has been. The best I have been on! The dynamic of the attendees this year was fab and the closed door discussions so helpful. Thank you. Charlie Thwaites, Weald and Downland Museum. The tutors found interesting ways of tying in the course activities with the subject matter. Everybody was given an opportunity to participate – there was no pressure to interact, it just felt very natural. Maggie and Felicity allowed the group to get to know each other, and they also got to know us. The tutors supported us very well with our work-based assignments. They were always available if I wanted to bounce ideas off them, there was a clear time-frame, and the guidance during the final stages was really useful. I highly recommend the Volunteer Management course as it provided such a comprehensive grounding in all the elements it takes to become a good manager of volunteers. It was a unique course that worked brilliantly on several levels, providing a detailed background to management theory, embedding that theory through relevant real life examples and enabling us to apply the skills and knowledge that we had gained to our own projects and jobs. Maggie and Felicity have a wonderful approach to training – they are clear in their delivery, current in their examples, knowledgeable about the topics covered and interested in each member of the group. To be honest I was really surprised that I gained so much knowledge and skills from the training course, as I assumed that I already knew most of the content covered. I soon realized that I not only had crucial gaps in my knowledge but also that there are multiple ways of approaching any one subject area. Not only was I learning from my colleagues but the wealth of experience and knowledge of both trainers was a huge learning opportunity for us all. It was fantastic to tap into the wealth of knowledge on volunteer management and volunteering that Felicity and Maggie possess but by far the best bit of the course for me was the energy and enthusiasm they have for their subject and their ability to inject this into all their students. 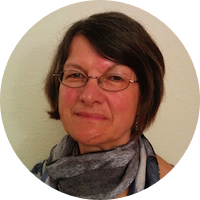 Maggie and Felicity have a wealth of knowledge and experience and delivered all necessary elements to enable a comprehensive understanding of good volunteer management, excellently supported by handouts and other literature. The course was both enjoyable and useful. The training sessions were a great blend of discussion, listening, writing, moving around occasionally, and were paced well. It felt like everyone bonded, especially as Felicity and Maggie were very good at ensuring people had time to ask questions, to share personal experiences and to work with different people by mixing us up for the various breakout activities. I feel that the course has energised me to improve our volunteer programme and I would certainly recommend it. Felicity has developed and facilitated learning for hundreds of managers across the voluntary, statutory and private sectors.